There’s a certain sort of reverse racism pervading Hollywood right now and it’s due to an over compensation that minorities have always been under represented in the industry. It’s true that African Americans and women are largely overlooked for key industry jobs like studio executives, producers, directors and writers. And one famous director just announced he’s never cast a “white dude” as the lead in one of his movies. They say that film is the director’s medium, theater is the actor’s and television is the writer’s. But film is a worldwide commodity that proves to be fickle when funding and that’s largely due to the fact that an actor – the literal face of your movie – is usually sold based on their star status. The term “A-list actor” is a term the studios created to identify which stars can sell a movie all by themselves. Can their name alone guarantee worldwide distribution? These are people like Tom Hanks, Brad Pitt, Leonardo DiCaprio, etc. Actors rarely attach themselves to a project unless there is already a director in place, which makes them the most important part of the whole film. The movie lives or dies based on how good the director is at shaping the movie. There are a handful of famous writer/directors who can sell a film based on their name alone like Quentin Tarantino, Wes Anderson, Paul Thomas Anderson, Coen Brothers and there are some others. Now, Jordan Peele has slid into this exclusive group. 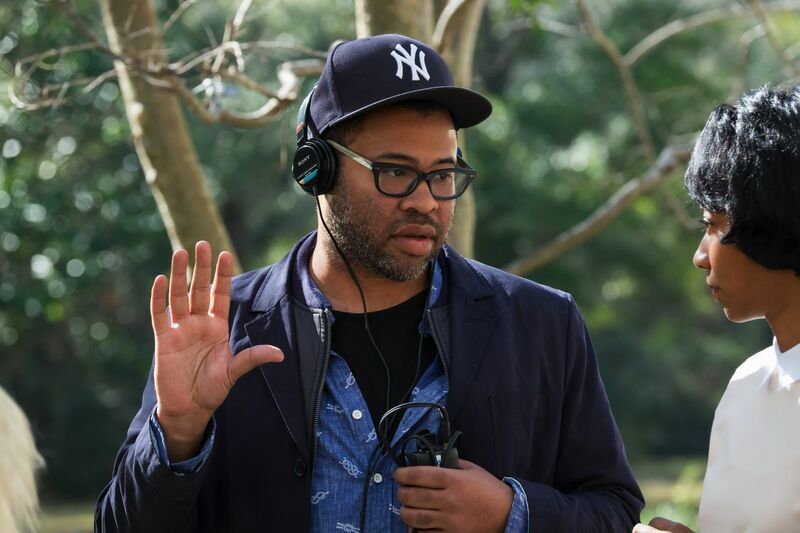 After his hit first directing debut, the sensational Get Out, he followed it up with the new horror movie Us, which made a shocking $70 million opening weekend. Peele is a rock star in the film industry. Oh, and he’s helming the new Twilight Zone remake that lands on CBS Access April 1st. In a new interview, Peele said he would not cast a “white dude” as the lead in any of his movies. The crowd erupted into applause after that comment. But he’s right. He can do whatever type of movie he wants unless his movies start to become unprofitable and it doesn’t look like that’s happening anytime soon. As the cliche saying goes, if it ain’t broke don’t fix it. Peele proved with Us that he doesn’t need huge stars to sell his movies. The film’s biggest star is Lupita Nyong’o and she’s not only a great actress but pretty famous. Nyong’o probably wouldn’t have been considered the studio-defined “A-list star” until this movie though. Now that Peele has achieved this rock star status; he can cast whomever he wants.